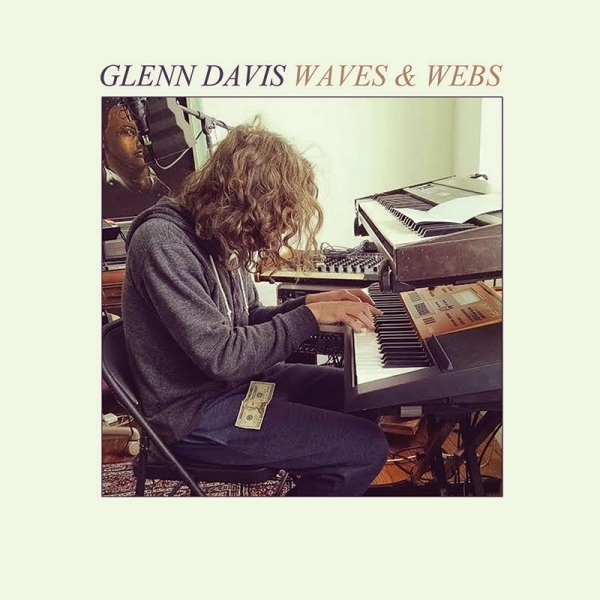 Waves & Webs is the first full-length solo release by Glenn Davis since co-founding the Columbus band, Way Yes. The album exposes a simpler and softer side, dealing with loss and the complexity of relationships. Vulnerable in content, the arrangements are simple & forthright with a sound that intelligently transforms from Folk into RnB while weaving a pop sensibility throughout each track. The songs on Waves & Webs were written after Davis's marriage began to unravel in 2013. Describing it as a period when he felt powerless to change anything, he turned to his version of comfort music: Fleetwood Mac, ELO, Joan Armatrading, Van Morrison, and Arthur Russell. The resultant songs were equally inspired by his own relationship discord and the music that was helping him heal. The album was self-recorded in basements, bedrooms, and attics throughout Columbus over the following months with contributions from Counterfeit Madison and mastered by Jon Fintel at Relay Recording.